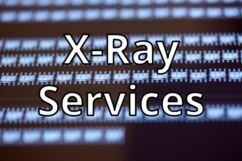 Many medical device manufacturers use scanning acoustic microscopy and x-ray inspection to screen their products for one simple reason: not catching defects could hamper the devices’ function for patients, and these two techniques, especially used in combination, excel in catching defects. As with the screening we do for other industries, our medical device test methodologies have many applications – from lot screening to failure analysis to destructive physical analysis (DPA) and much in between. Our C-SAM® inspection, by itself, is an integral part of the process when it comes to moisture sensitivity level testing (MSL) and tin whisker mitigation. Whatever the goals, we work with each medical device manufacturer as a true partner, openly collaborating with them and customizing our tests to assure that their objectives are met. 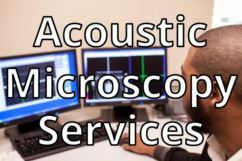 If you’re a medical device manufacturer in need of superior microelectronic testing services, contact AcousTech. 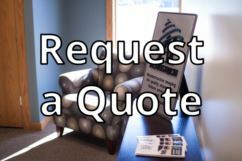 Partnering with us assures you of accurate, comprehensive testing, detailed yet concise reporting, full documentation including photos, professional collaboration, competitive pricing, and quick turnaround.